Team Philippines Benefitting LIVESTRONG works to change these facts because we know we live in a society where change can easily be done. But we just need your support. In our society, spreading knowledge is about creating the numbers, coming together as one group of individuals who empower each other, and demand change. Think about your friend or family member, or that story you heard from someone else – those people who have faced cancer, are fighting cancer or whose lives were forever changed by cancer. They are the people we are coming together for. Every year, Lance Armstrong celebrates his induction into cancer on October 2nd. Team Philippines, supports this organization because we believe that the Lance Armstrong Foundation is one that attacks cancer holistically. The fight is not only about the research or the medication. It is about the people who are fighting, their families who are strong and struggling, the lifestyles that keep us healthy and cancer-free and the awareness that we need to take action. This year, we will hold the Philippine event on October 21st a Sunday. It is a bike and run event designed to unite, inspire and empower people affected by cancer as well as to promote the need for healthy lifestyles. The proceeds of which will support local projects that furthers the advocacies of LIVESTRONG. The LIVESTRONG Foundation was founded in 1997 by Lance, whose mission is to inspire and empower people affected by cancer, to unite people to fight cancer through programs, experiences, taking aim at the gap between what is known and what is done, for cancer prevention, providing access to screening and care, research – to improve the quality of life for cancer survivors – that you must not let cancer take control of it. The annual event is now known as LIVESTRONG Day Philippines, hosted by Circulo Verde, an Ortigas & Company development in Calle Industria, Quezon City. Thankfully, we are not alone in this fight. Organizations like the Ortigas & Company have been gracious in extending their support. This support helps offset the costs associated with the event day, but also generates donations that we turnover to local cancer foundations. This also means that participants of the event enjoy some token items at the activity areas. Aside from Circulo Verde supporting us, we have Makati Medical Center, Go Nattural Corporation’s Ampalaya Plus, Booster C energy shots, Gold’s Gym, MyTAG, San Miguel Beer, Dunkin Donuts, Manila Water, Enduro & Trifemme Sports, Multisport magazine, BikeBros, LoopBikers, PasigMTB, mtb.ph, the Pasig City Running Club, and Multiply.com for our online all-mode payment portal. Because we want the support to continue year-round, at the event we also engage activities aimed at raising funds to cover event expenses. Through the sale of jerseys and merchandise, can we be able to fund the event. Personal donations are also welcome because these are personal actions that unite us against the fight. 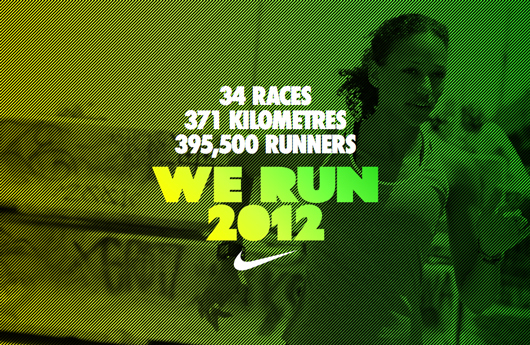 In 2011, the event was 3000 strong, this year we hope for more. Coming together empowers, it is our strength. It reminds us that we are not alone in this fight and there are many others that need our support. Last year, Team Philippines Benefitting LIVESTRONG asked the Philippines to imagine their world without cancer. This year, we ask for your strength. We believe that coming together, fighting as an entire society gives strength. We encourage everyone to come. We believe that Unity is Strength. See us at www.livestrongdayph.com for registration and other event details, or email us at livestrongdayph@gmail.com. I was fortunate enough to be invited for the launch of Centrum’s web-based application called the Nutri Coach. We should all be conscious about all the food that we eat. In order to have a healthy lifestyle we have to watch what we eat. As they say We Are at What We Eat! Below are some helpful information about the Centrum’s Nutri Coach. You will be asked to input factors like your age, weight and level of physical activity into the Nutri Coach website. These factors are important in gauging how much you [word missing: is this vitamins and minerals?] need. Then from a menu of different Filipino foods, you will choose what you ate for breakfast, lunch and dinner—and of course merienda. The system will automatically compute the nutrients you are getting from your food choices and will show you your gap versus the recommended daily intake for Filipinos. It will even propose a sample meal plan for you to follow so you can get enough of the vitamins and minerals you lack with your current diet. What are the food servings used for the food choices in the Centrum Nutri Coach menu? Food servings vary per food type. For instance, pizza serving is 1 slice, butter is 1 teaspoon, while coffee is 1 cup. The usual food serving as noted by the nutritionists were used as a guide. Serving details per food item are specified in the nutri coach. How can I access the Centrum Nutri Coach? 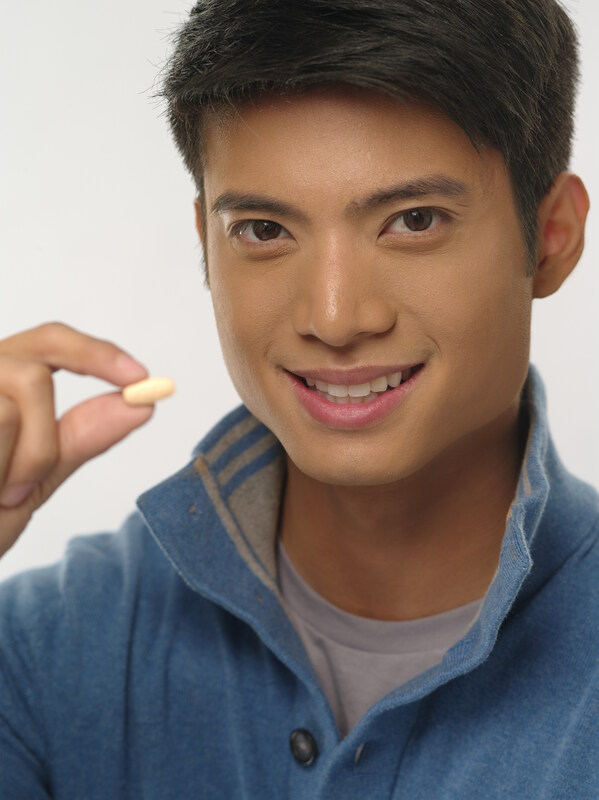 You can access the Centrum Nutri-Coach through the Centrum Website at http://www.centrum.com.ph. Can I access the Centrum Nutri Coach via a smart phone/mobile device? Yes you can access the Centrum Nutri Coach via a mobile device/smart phone. However the current configuration is formatted for a standard web browser. Is the Centrum Nutri Coach available for download via mobile app? Currently, the Centrum Nutri Coach is only available online. What is the basis of the computation of the vitamins and minerals? Centrum worked with nutritionists to compute for the vitamins and minerals per food item. The reference used was the Food Composition Table shared by FNRI (Food and Nutrition Research Institute of the Philippines). What can I see in the results page? 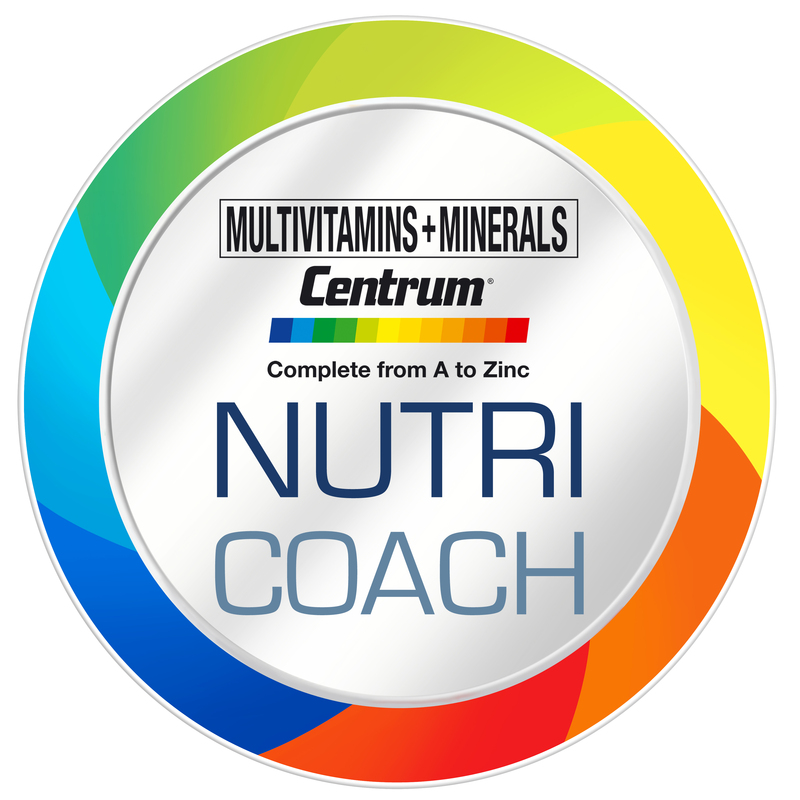 Centrum Nutri Coach will show you the nutrients you get from your food choices and if you are getting the right level of nutrients base on the daily Recommended Energy and Nutrient Intake. Other information you’ll get are your BMI, calorie consumption plus your ideal weight, height and BMI. A sample diet will also be provided in the results page. Can I print or share my results page? Yes, your results page can be printed or shared on Facebook. Can Centrum Nutri Coach save my profile so I can have a diary of my food intake? At the moment, we do not have this feature in the website, but this may be considered for the future phases. Can the Centrum Nutri Coach be used if I am pregnant? Yes, the Centrum Nutri Coach considers your age, height, weight, gender, activity level and health condition which includes women who are pregnant. Can the Centrum Nutri Coach be used for children? Centrum Nutri Coach is currently design for adults ages 19 and up. What is the level of involvement of FNRI on this project? Centrum consulted with FNRI, which shared with us the Food Composition Table. This document served as the basis of our partner nutritionists in computing for the nutrient content of the food items in the Centrum Nutri-Coach. Is the Centrum Nutri Coach user friendly? The Centrum Nutri Coach was designed to make it easy for users to navigate. Users have the option to choose pre-set meals that fit their usual food intake if they don’t want to use the customize option where they can choose the actual food items that they usually eat. Various types of eating habits were captured in the Pre-set meals such as High Fiber, High Calorie, Low Calorie, High Carbohydrate, Low Protein, Low Carbohydrate or High Protein. To register online go to http://www.adobomagazine.com/adoborun. Php 185 outside of Metro Manila. Adobo Magazine Office Unit 203 Bldg. 1, OPVI Center Chino Roces Ext., Makati City. Live music, fireworks, spectacular performances, free flowing beer… all the elements that make a great party. And oh, did we mention that it’s also a run? Prepare for a treat as Adobo Magazine, the country’s premier advertising and brand communications publication brings you its third edition of Adobo Run After Dark on Saturday, October 20 at the SM Mall of Asia grounds. An estimated 5000 runners and party revelers get to celebrate their running feat with a full-blown party and live concert immediately after the race. All fitness levels are welcome in the 5k, 10k and 15k race categories, with the first gun start firing at 6:30pm. In keeping with the Halloween theme that has made adobo Run After Dark stand out as a fun and unique event, cash prizes are also awarded to the creepiest, wackiest and most creative costumes of the night. And here’s the best part. While having the time of your life, a needy home is being lit through MyShelter Foundation’s “A Liter of Light” program, which is the beneficiary of adobo Run After Dark for the second year running. This year’s party with a run is brought to you in partnership with Smart Communications, Meralco, McDonald’s, St Luke’s Medical Center, Summit Water, 100 Plus, Manila Beer, Greenlite Banner, Video Sonic, Timex and SM Mall of Asia. Media partners include Business Mirror, Manila Bulletin, Philippine Star, Philippine Daily Inquirer, Inquirer.net, The Bullrunner, Multisport Magazine, Men’s Health, Women’s Health, Runners World, WheninManila, Mellow 94.7 and 99.5RT. 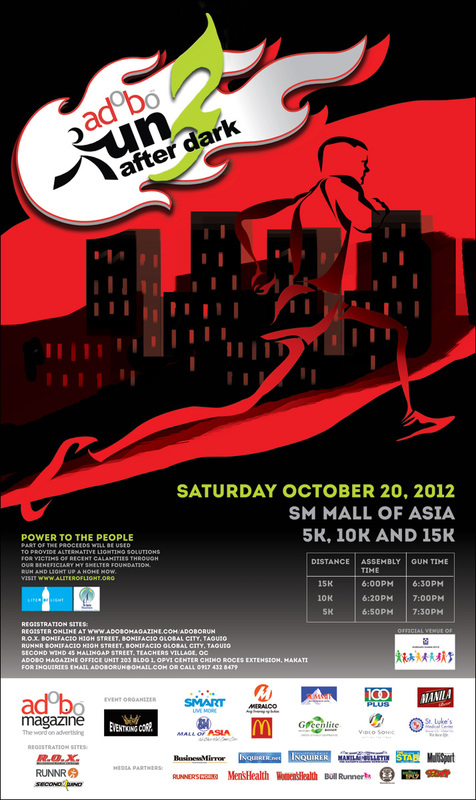 Interested parties can register online at www.adobomagazine.com/adoborun. In-store registration is also available at R.O.X. and Runnr, both in Bonifacio Global City, Second Wind at 45 Malingap St., Teacher’s Village, Q.C. and at the adobo magazine office at OPVI Center, 2295 Pasong Tamo Extension, Makati. RUN FOR A CAUSE AND WAIT NO MORE. REGISTER NOW! Southeast Asia faces its annual wet and cool season through the monsoon months, with the highest rainfall at the end of every year. Running in the rain can be an exhilarating experience, but it can be dangerous as well. Wet tracks reduces grip, and reduces visibility. The rain should not deter runners from their runs, and this Holiday ’12 season, Nike introduces products to keep runners dry, protected and comfortable. Breathability, ventilation and comfort come together in the NIKE RELAY tops (men’s and women’s). The Nike Dri-FIT knit fabric enables premium sweat management, while ergonomic seaming with flat-seam construction follows the body’s natural contours for reduced irritation, a flattering fit and a full range of motion. Mesh underarm panels and the dropped and vented hem augment the cool comfort. The NIKE RELAY top features reflective elements as well, keeping the runner visible in the dark. A reflective headphone cord loop at the back of the neck also means runners can listen to their music without distractions. NIKE TWISTED TEMPO shorts for women pack high-performance features into stylish and comfortable running shorts, available in a wide range of color combinations with contrasting diagonal panels. The Nike Dri-FIT fabric and built-in Dri-FIT crepe liner helps keep runners dry. A zipper pocket provides secure storage for a small media player. The NIKE SHIELD PACK– a collection of running footwear to suit each unique running style –is updated with the Nike Shield technology, igniting runners every day and night of this season no matter rain or shine. It features a highly reflective inner sleeve that performs triple duty—it’s reflective even in dim light for safety; it makes a barrier that resists water in wet conditions, but stays breathable; and the reflectivity adds some flash to the look. The Shield Pack collection consists of the NIKE FREE RUN+ 3 SHIELD, NIKE LUNARECLIPSE+ 2 SHIELD and NIKE PEGASUS+ 29 SHIELD. So in this wet, rainy season, there is no reason not to continue running. The Nike LunarGlide+4 Shield delivers an ideal blend of lightweight cushioning and support with the winter protection of Shield. Designed for every runner, this style has been updated for cold, wet weather with the Nike Shield Pack. A reflective inner sleeve creates a barrier that resists water without compromising breathability and stays visible in low-light conditions while adding some flash to the look. Nike Lunarlon and Flywire technologies combine for exceptional comfort and an adaptive, glove-like fit in a lightweight package. Nike’s Dynamic Support system provides the stability runners need without the added weight. Deep Nike Natural Motion Engineering flex grooves along the midsole and outsole encourage flexibility for a smooth, efficient stride, and BRS 1000 carbon rubber in the heel adds durability in this high-wear area. The popular Nike LunarGlide+4 Shield has been modified for inclement weather with the Nike Shield Pack. Runners still find the great fit and excellent blend of cushioning and support in a lightweight package, but the updates allow for training no matter rain, cold or dark. The highly reflective inner sleeve performs triple duty—it’s reflective even in dim light for safety; it makes a barrier that resists water in wet conditions, but stays breathable; and the reflectivity adds some flash to the look. Nike’s innovative Lunarlon cushioning offers a lightweight, smooth ride, Dynamic Support adds comfortable stability and the dynamic Nike Flywire technology adds a customizable, glove-like fit. The men’s Nike Free Run+ 3 Shield combines the benefits of natural motion with special protection from the rain and the cold. A Nike-exclusive BW2 mesh allows for a no-sew bond, increasing water resistance and providing a lightweight ride, and its weatherized finish keeps the foot dry without compromising breathability. Reflective overlays keep the runner visible and stylish. Nike Dynamic Fit technology wraps the foot for a glove-like feel and the customizable laces accommodate a variety of arches, while the whole lacing system is offset to help reduce pressure on the top of the foot. Flex grooves and diagonal cuts along the length and width of the midsole enhance flexibility and natural motion and help increase foot strength. Women can experience the foot strengthening benefits of natural motion with added winter weather protection. The Nike Free Run+ 3 Shield uses lightweight Nike-exclusive BW2 mesh that allows for a no-sew bond to increase water resistance. The weatherized finish helps the feet stay dry and highly-reflective overlays keep them visible and stylish during runs in the dark. Nike Dynamic Fit technology wraps around the arch for a glove-like feel and customizable fit and the low-profile, Phylite midsole provides a resilient ride and doubles as an outsole, reducing the overall weight. Find the cushioning and smooth ride preferred by neutral runners with added winter protection in this adaption of a legendary Nike running shoe. The Nike Air Pegasus+29 Shield uses breathable mesh with a weatherized finish. The highly reflective skin bonded to the backside of the mesh also improves water resistance and remains visible in low-light conditions, while adding some flash to the look. The long beloved Nike Air Pegasus running shoe has been updated with winter running protection. The Nike Air Pegasus+ 29 Shield for women delivers the cushioning and smooth ride that neutral runners want with water resistant mesh to help keep the feet dry. A highly reflective skin bonded to the backside of the mesh further enhances water resistance, and ensures visibility in low-light conditions, while adding some flash to the look. The welded, ultra-lightweight underlay wrapping the forefoot delivers flexible support while the internal heel counter means a snug and secure fit. The Nike Zoom unit in the heel adds comfort underfoot.